The Canadian Foundation for Dietetic Research (CFDR) funds research projects in Nutrition and Dietetics to contribute to the existing knowledge base in these areas; to enhance dietetic practice, and ultimately, to build a healthier Canada. Research grants are awarded to dietitians across Canada. In addition to an annual grants competition, CFDR carries out special research project competitions from time to time. CFDR has been awarding grants to support practice-based research since 1993. To date, we have awarded more than $2 million in grants to 125 research teams accross the country. 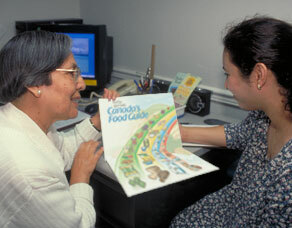 As part of our contribution to advancing nutrition research in Canada, CFDR also encourages and assists researchers. Through our Morgan Medal program, we recognize dietetic students and interns for their research work. Our New Researcher competition encourages those just entering the dietetics profession to include research in their practice. We also provide resources to help researchers to write successful grant applications.